When using a PC, the three main interfaces we use to interact with the machine include the keyboard, monitor and mouse. Most overclockers spend considerable amounts of time, effort and money to build their PC, but at the same time it is surprising how little attention seems to be given to the keyboard and mouse. And most especially the mousing surface is often neglected all together. First came the tatty piece of wetsuit, usually in the form of a free ‘mouse mat’ promoting some cause or company. Then there was the 3M mousing surface – those small, ultra thin scraps of rubber-backed-plastic, and other than being tiny, very flexible, prone to folding or creasing and dependant on the surface on which they were resting, they made a fairly good mousing surface. About three years ago, there was a bit of a revolution in the mouse mat industry. Everglide and Ratpadz came out with large rigid mousing surfaces. These new mouse mats resembled a kitchen-chopping board more than anything else. 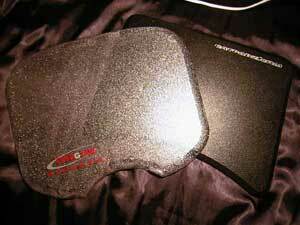 Smooth rounded edges, a comfortably textured top, long wearing and virtually unbreakable - these were all aspects that made these mouse mats popular with many computer enthusiasts. I’ve been using my MS Explorer (optical) mouse, Everglide wrist rest and a Ratpadz for quite some years now, and I know I’ll never go back to a ball-mouse with a bit of wetsuit to roll it on. Some years ago, I was experiencing a fair amount of computer-related-wrist-pain, and even resorted to using a wrist brace while using the computer. Since purchasing the wrist rest – and changing other computer-related habits – I have noticed none of the pain. The size and height of the Ratpadz and Everglide Optical Giganta are almost identical. The majority of complaints I’ve read about the ‘chopping board’ style mouse mats, were due to the height of the mat, and the uncomfortable wrist angle this produces. The comfortably padded Everglide wrist rest ensured that I did not have any of these problems, and I would recommend it to anyone purchasing a new Everglide mouse mat. The vast majority of people reading this review are no doubt familiar with Everglide’s ‘original’ series of rigid mouse mats. 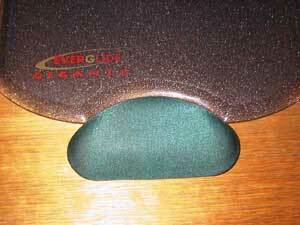 The Everglide Attack Pad was reviewed by Agg some years ago, as was the Everglide Giganta. Everglide have launched a new range of Optical Pads, and as the name would indicate, the new range of mouse mats are targeted toward users with optical mice. Given the increasing prevalence of optical mice, I would expect that this is a well-founded marketing strategy. 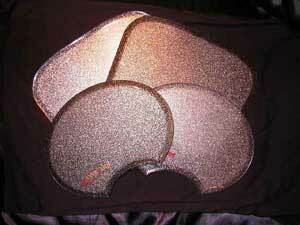 Not only that, the new Attack Pad Optical and Giganta Optical Pads look super-cool. There are nine new products in Everglide’s Optical range of products and we’ll be reviewing four of them today – the ‘chopping board style’ Attack Pad Optical and the Giganta Optical Pads. 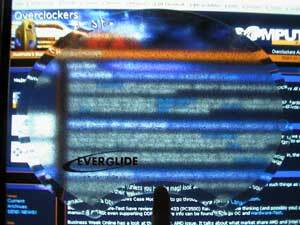 These Everglide mouse mats now come in two cool transparent colours ‘clear’ and ‘smoke’. 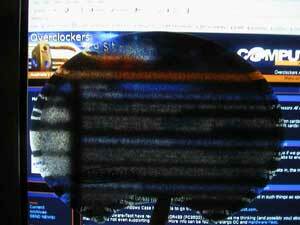 The clear Attack Pad Optical and smoke Attack Pad Optical.